Hello Pilots. This is Angel Flight East, a nonprofit organization who's mission is to fly patients across the northeast for medical attention. We will be having our Annual Luncheon and hope you will be able to attend. All the proceeds will go directly towards supporting the mission of the organization. 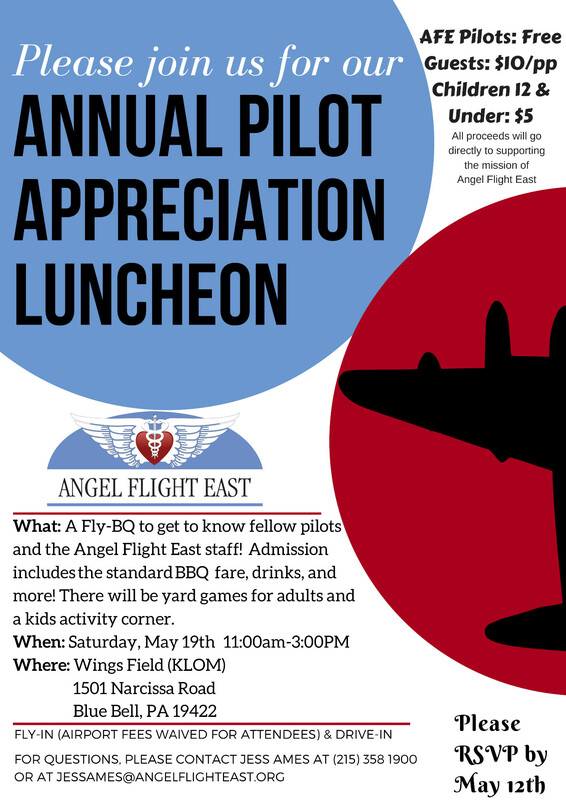 For any questions, please contact Jess Ames at 215-358-1900 or email her at jessames@angelflighteast.org. Please RSVP before May 12th. Hope to see you there!